This holiday season give the gift for someone to fight hunger. We are proud to announce the JSMC Annual Food Drive. Food donated by you will be given to local food pantry. We are looking for Canned and Non-Persihable JAIN FOOD. There will be donation boxes arranged in the Lobby of our temple on Pathshala Days so make sure you deposit your food there. 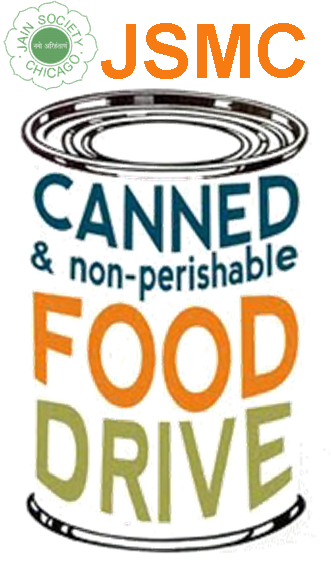 The food drive will begin on Sunday, Dec 2nd to Sunday, Dec 16th. In order for the food to be acceptable by JSMC it should NOT have following ingredients.